Tired of using popsicle sticks and tooth picks to force glue into those biscuit slots? This specially designed glue bottle has a biscuit-shaped head that fits neatly into biscuit slots to ensure adequate glue coverage. 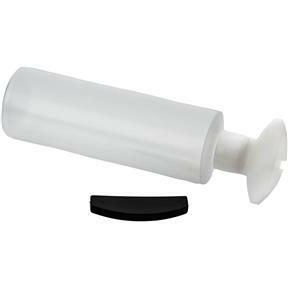 Top seals bottle between uses.